I really couldn't find much information on the Dragon Tiger Towers. Basically, they seem a little Disneylandish, but are still quite beautiful and worth a visit if you're in Kaohsiung. I tried to yell to these guys to run away but they must not have heard me! Don't worry, the tiger spit them out a few minutes later. From the Tiger Tower, looking north towards Dragon Tower and another pagoda, The Emperor of the Dark Heaven God, and in the distance, The Confucius Temple. 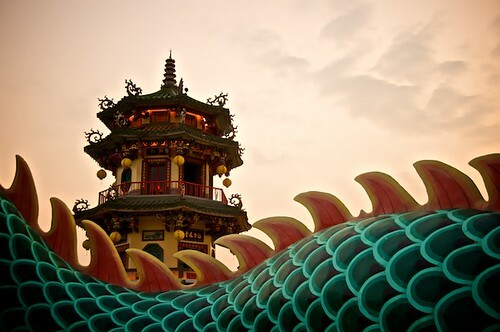 Sunset over a dragon's back at the Spring and Autumn Pavilions in Kaohsiung, Taiwan. This big guy is "The Emperor of the Dark Heaven." In Taoist mythology, he defeated the demon king and is now a reminder that good always defeats evil. 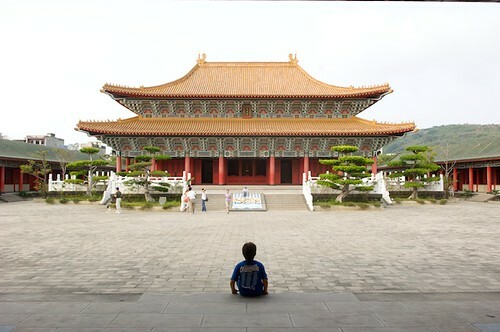 Confucius Temples are always simple places that are great for quiet contemplation. This one is in Kaohsiung, Taiwan. Hi Neil, what a fabulous treat to the eyes. I especially like the first zigzag photo and also the dragon eating tourists one ;) Absolutely stunning. Looking forward for more. Hey, Neil, these are really great shots! I showed the photos with my husband. They make all the other photos on net uncompetitive. I also did a little research of the meaning of the dragon and tiger pagodas. 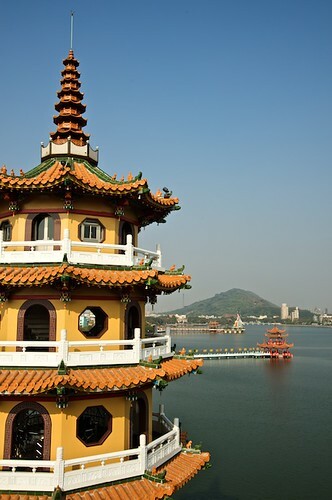 The pagodas are designed in a single-storey (7) pavilion-style in 1976. Dragons and tigers are favorable auspicious symbol in China, the dragon’s throat is the entrance and the tiger’s mouth is the exit. 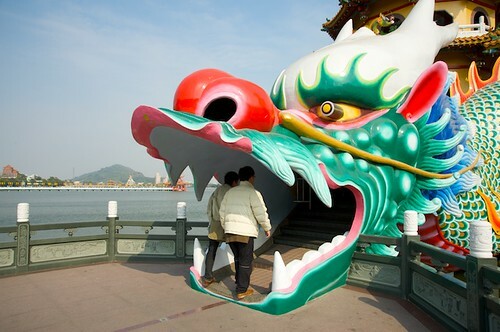 Entering a dragon’s throat and coming out tiger ‘s mouth symbolizes turning bad luck to good fortune. 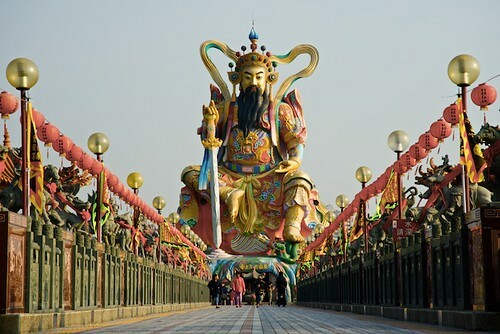 Inside, paintings depict China’s 24 most obedient sons as well as scenes of heaven and hell to inspire people to do good deeds during their lifetime, and to provide threatening examples of retribution for wrongdoing. Thank you Ashish and Sheryl. Thank you so much for the information Sheryl. I was really surprised at how little information I could find in English about this beautiful lake and its attractions. In fact, I was also surprised at how unprepared all of Kaohsiung seems to be for the World Games this summer. The was only a little information about anything in English, very few people in the hotels spoke English, and the KMRT (subway system) was confusing. Taipei is so much better at all these things, you think Kaohsiung would learn! Hey, Neil, you are very welcome, you are the one who took the photos and inspired me in many ways at the first place, your photos make me reconsider if photograghy is really my passion. (how could I say I like it and spend so less time on it, and not good at it at all, so I will try to take more photos again first). 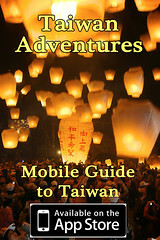 And make me want to know more places in Taiwan. 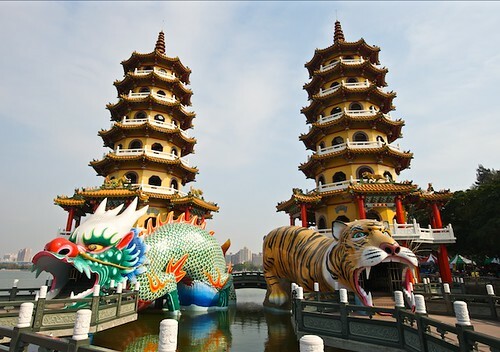 There are really a lot to do to make Taiwan a more international island, but it’s also very intersting that when I did the research on net, I found out the Dragon and Tiger Pagodas are very famous in Japan, the picture of the Pagodas is made into big poster and the cover of the Taiwan tourist brochure there. but I have no idea about this place before I saw your pictures. and actually I havn’t really been to Kaohsiung before(ha… shy). I told my husband I wanted to go couple of years ago, but didn’t really make it happened… maybe because it is so close that I always think I can go sooner or later. alright, I’m making this comment in to a long letter now, I better stop! bye for now :P 謝啦! Incredible images, Neil. I’m so behind on my blog reading. I had these earmarked on Flickr and didn’t realize that you were the photographer! What a pleasant surprise. I hope you see some traffic from SU on this post. Cheers and thanks for the eye candy! I hear you about the blog reading. I never seem to make the rounds that I’d like to! I also visited these places on 18th Feb. 2010. 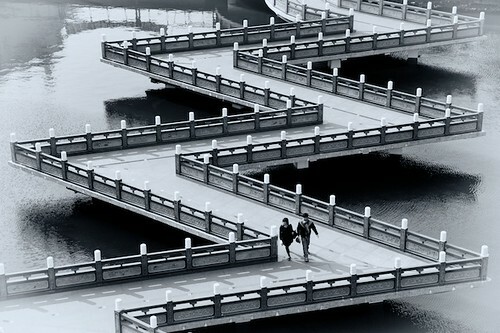 Kaohsiung is also very beautiful city in Taiwan. I love this place very much. When I checked your blog, I found that all the photos are very beautiful. Wonderful job! Thanks for these very beautiful photos.